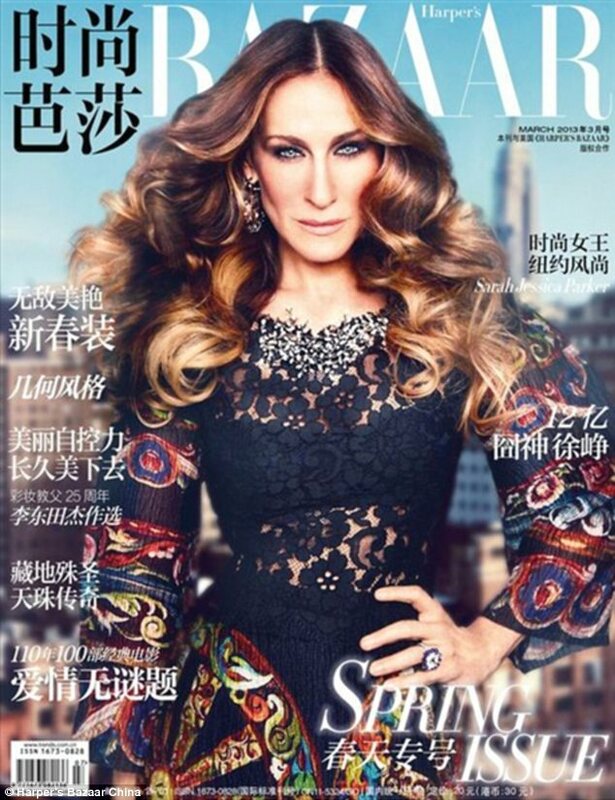 Home Tags Posts tagged with "harper’s bazaar"
Sarah Jessica Parker is almost unrecognizable on her latest magazine cover for Harper’s Bazaar China. Sarah Jessica Parker, 47, appears to have been airbrushed within an inch of her life, leaving her looking like an entirely different person. The resulting image is rather startling as Sarah Jessica Parker’s piercing blue eyes stare intensely into the camera. With her dark blonde tresses blown into big and bouncy curls, the actress poses in a colorful pretty printed dress which features a black lace top and matching bra underneath. Sarah Jessica Parker accessorizes with ornate drop earrings and a delicate ring, but all eyes are on the star’s fierce-looking face.